Acrylic-coated 20 pt. PressGuard® covers that resist stains and moisture. 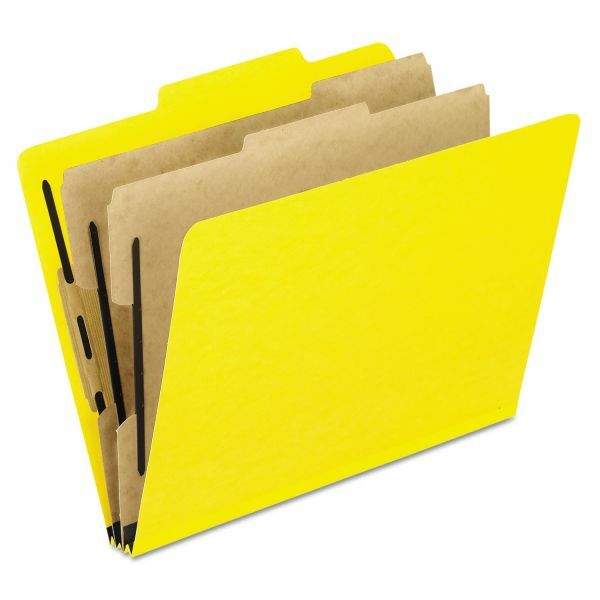 Pendaflex Six-Section Colored Classification Folders, Letter, 2/5 Tab, Yellow, 10/Box - Classification folders feature durable, 20 point Pressboard covers to resist moisture and dirt. Each cover has a 2 capacity bonded fastener. The two dividers with 1/3-cut tabs are made of top quality 17 point kraft stock and have 1" capacity two-way fasteners. 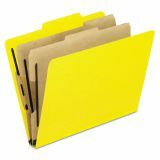 Each folder offers a 2/5-cut tab, 2" expansion and reinforced tape gussets.